Well, we are in the month of May and that means Mother’s Day. 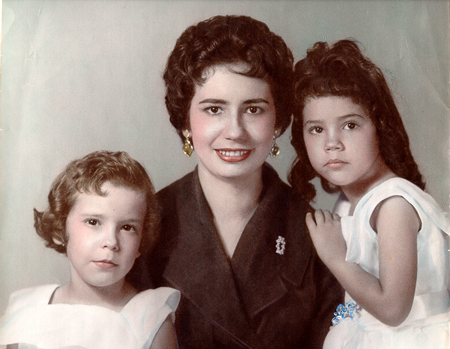 What better image to post on my blog, (even though I can’t take credit for taking the picture – I was only five years old), but, I thought it would be nice to share this photograph of my beautiful mother, Delia, my sister, Ana, and myself, taken at a studio in our home town in Cuba on October 13, 1961. We’ve come a long way, but I think pictures from that era are classics. I love them! 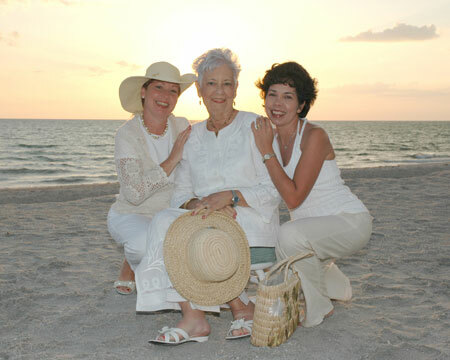 I’ve also posted a recent photograph of the same three ladies taken in the Summer of 2006. Times may have changed, our appearances may have changed, but the love we share has remained unchanged. Happy mother’s Day to my dear Yeya, my wonderful sister Ana (my hero), and to all the mothers in my family whom I love dearly, as well as to all my friends who celebrate this wonderful day with their loved ones.